What song are you listening to today? 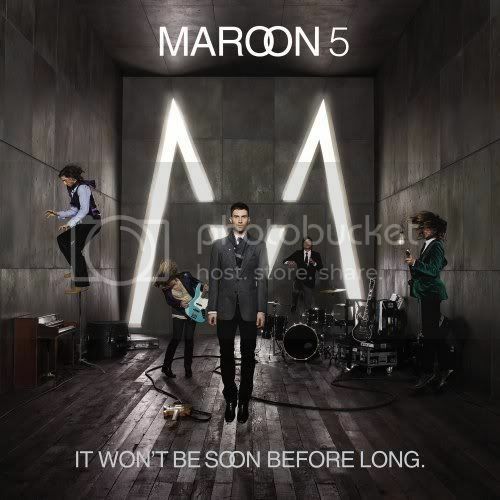 I'm listening to song from computer today called "Must Get Out" by Maroon 5. You can post lyric here, If you want to. I'm listening to "Tired of Toein' the Line" by Rocky Burnette. 'Calm like you' by The Last Shadow Puppets. Absolutely spectacular band with a sound that I just cannot explain. Must be heard to be believed. Gotta be somebody bye Nickleback.. So I'll be holding my own breath, could this be the end? I have an FM radio on my BrailleNote and am listening to "Smooth Operator" by Sade. I'm listening to song called "I Love Rock 'n' Roll" by Joan Jett. Some piano piece that got shoved in the car's CD slot. I can't really feel most of it. Crank the volume up on that sucker!! Lol! Well, I am parked in the school's parking lot so I guess I could since it's a deaf school and not many people would hear the car being a moblie piano concert. Now I'm listening to the Beatles "Let it be" via my co-worker's radio. I just spit out my Coke. I'm listening to Jillio's favorite artist Kenny G.
Right now I'm listening to "Waiting for a Girl Like You" by Foreigner. I can't handle heavy metal or anything louder than soft rock given my dizziness. "Let It Be" to "Love Shack?" That's quite a switch. I used to play "Love Shack" over and over ad nauseum when the song first came out in the late 80s. Now I can't stand to hear it. So do I -- and I agree. "I Love Rock and Roll" was one of the first videos I saw on MTV back in the early 80s. By the way, I have all of Joan Jett's albums. They rock! I am listening to "Put A Little Love In Your Heart" by Annie Lennox and Al Green.